Within Teamwork Desk you can enable time tracking settings for time spent within tickets you receive. 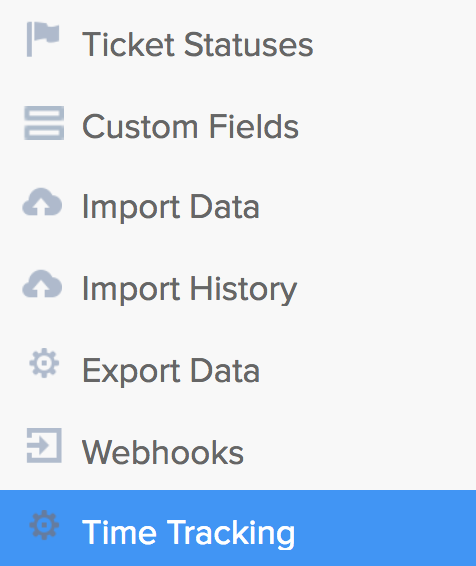 Note: You will first need to enable the ticket time tracking tool within the apps settings of Teamwork Desk before the options below can be found. To enable these, click your profile icon to the top right of the Desk navigation bar and choose Settings from the dropdown. Go to the Company tab in the settings area, and choose Time Tracking from the left navigation pane. Note: You can choose to enable these settings for all inboxes or by checking the box for "Customize tracking settings for each inbox" you can choose to apply to a single inbox. 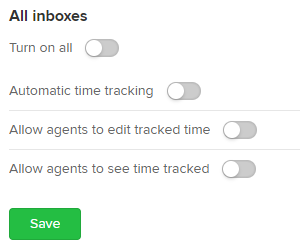 Allow agents to edit tracked time - Any automatic time logged can be edited by any agents with access to that inbox. Allow agents to see time tracked - Agents can see what time has been logged on the ticket in the right pane under time tracking.